Unflattering description or no, the arrival of Chinn’s House of Ho has been causing quite a buzz on the food scene in London. 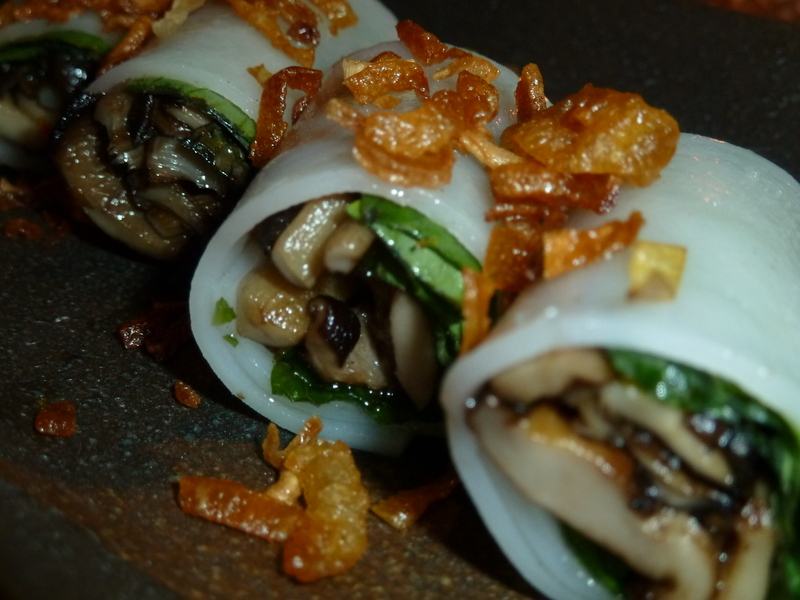 Chinn already has successful restaurants in Hanoi and Saigon, and expectations were high. All I can say is that, if the description of him is accurate, I pray he doesn’t read this review: despite being really, really excited, I left House of Ho extremely underwhelmed. Located on Old Compton Street, House of Ho is sleek, modern and beautifully decorated. 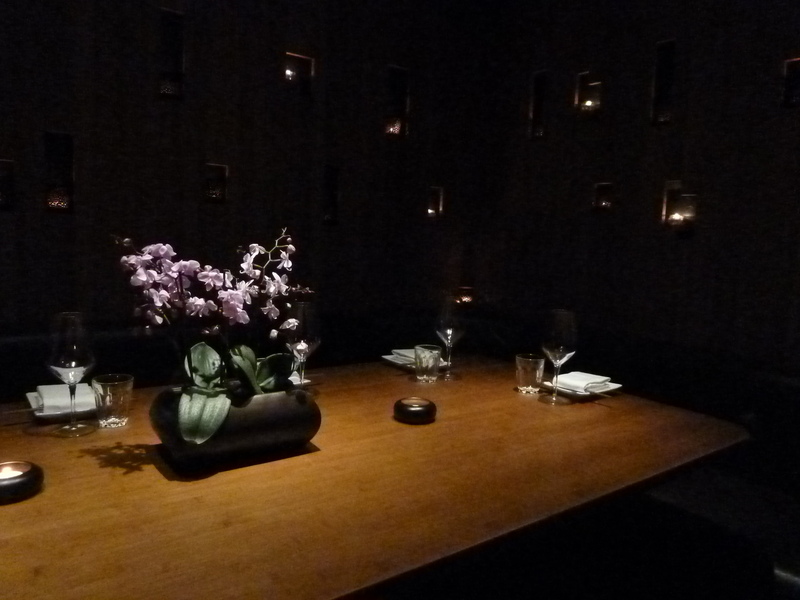 Simple, sharply cut wooden tables loom through the dimly lit restaurant. The layout is particularly interesting with the space divided into corridors and alcoves for those wanting to dine in a more intimate setting. Service was warm and friendly. One of the waitresses either did not have enough English or enough knowledge to describe items on the menu, but such hiccups are to be expected in the soft opening. We settled ourselves down and contemplated the menu, which is divided into ‘Light and raw’, ‘Hot and grilled’, ‘Ho’s dishes’ (the house specialities), ‘Sides’ and ‘Desserts’. It is only when we started tucking into the dishes that disappointment began to sink in. 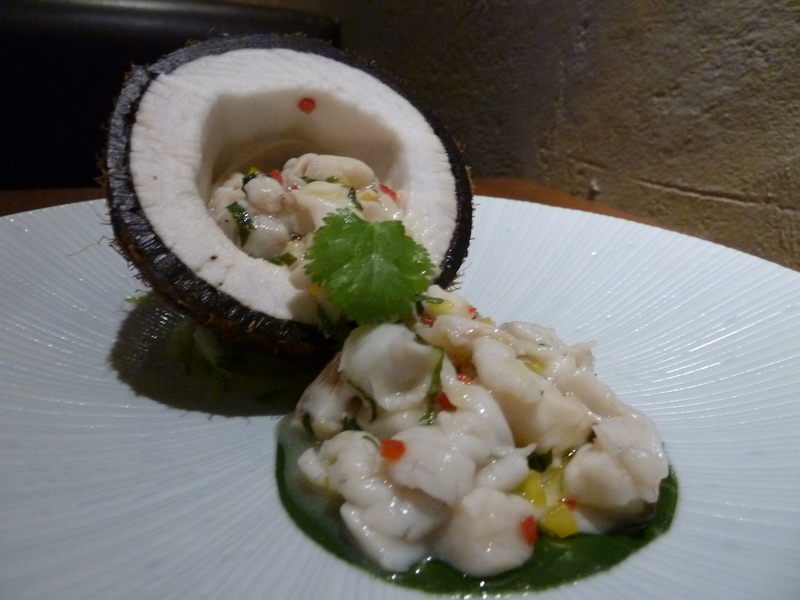 We first tucked into Seafood Ceviche with Mangosteen Coconut Dressing and Truffle Oil (£9). Undeniably, it looked completely stunning. It included a mix of sea bass, squid and shrimp and should have been light and refreshing. However, none of the flavours settled together; it ended up overly tangy and haunting our mouths for an unpleasantly long period afterwards. I far preferred the rendition I recently had at Chotto Matte. The general theme of the evening, however, was blandness. We worked our way through Pho Cuon Wild Mushroom (£4) (rice noodle rolls), which were completely unmemorable, followed by possibly the most unexciting pork ribs I have ever tried (£6.50). They were tamarind barbecue. Apparently. Shaking beef – shake it and it vanishes! Fortunately, there were a few dishes that broke away from this. 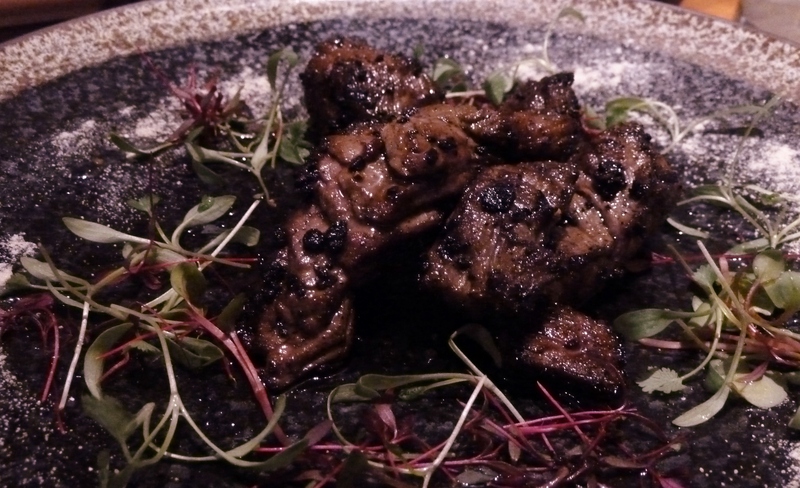 Like the ‘Shaking Beef’ (£14) which is simply wok-fried beef with soy, but had just enough umami flavour to hook us. However, it was so small that I was afraid that a violent sneeze might vanish it. Morning Glory – don’t you look like this in the morning? 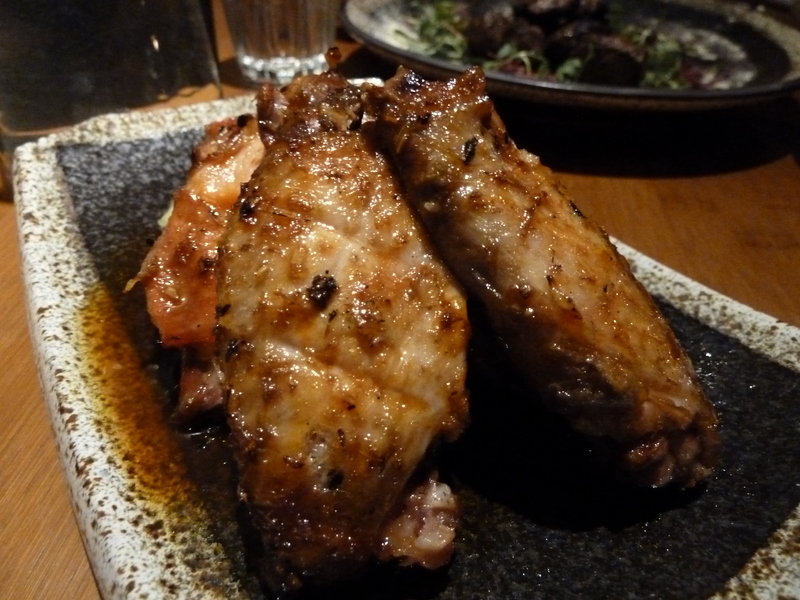 The Grilled Chicken Wings with Chilli and Oyster Sauce (£6) were sticky, gooey and really quite tasty, but the stand-out dish was the Morning Glory (£4) – water spinach. 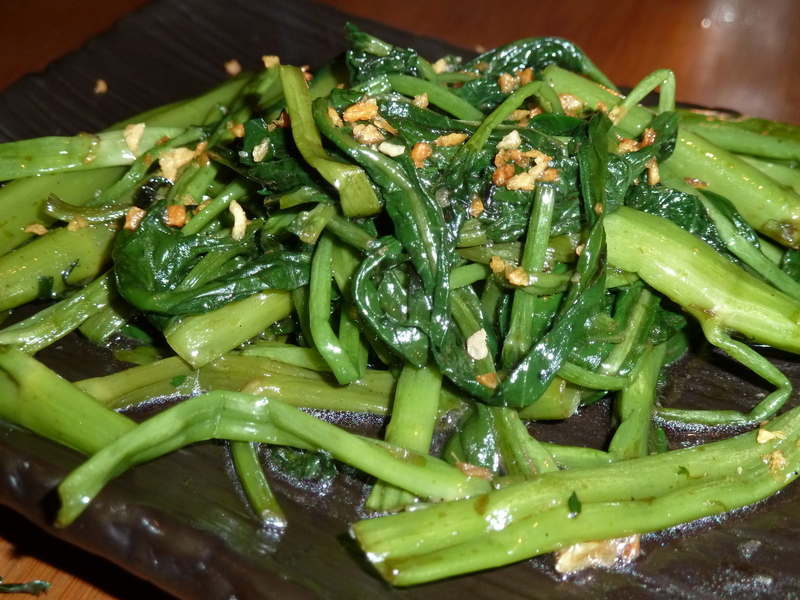 Yes, we couldn’t quite believe that our favourite dish was a vegetable side. 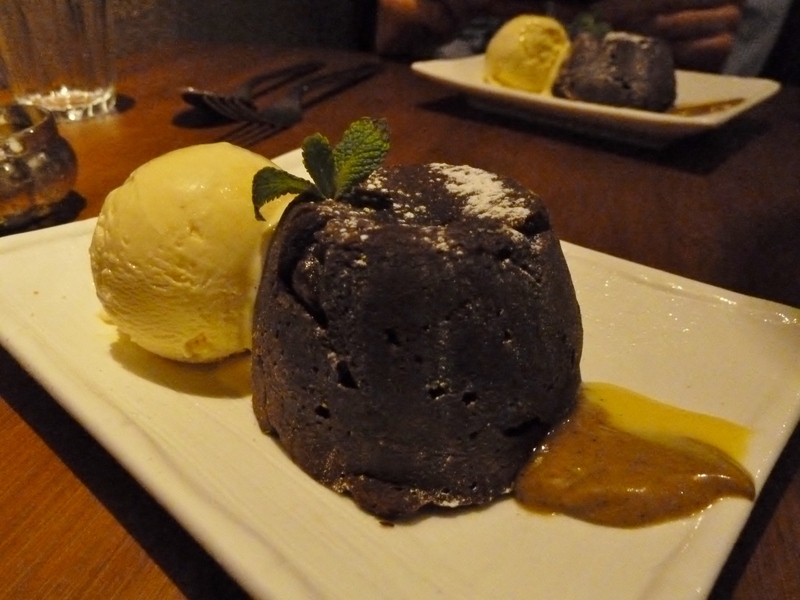 The Moulton Marou Chocolate Cake (£6.50) was also really delicious – both rich and intense – although the lemon and coffee sauce on the side jarred horribly. It’s a shame the service slowed down towards the end of our meal. It took a while to get dessert and ages to get the bill. When it did arrive, we were so very relieved that we went during the soft opening with 50% off. I think I would have been shaking more than the beef if I’d paid full prices. 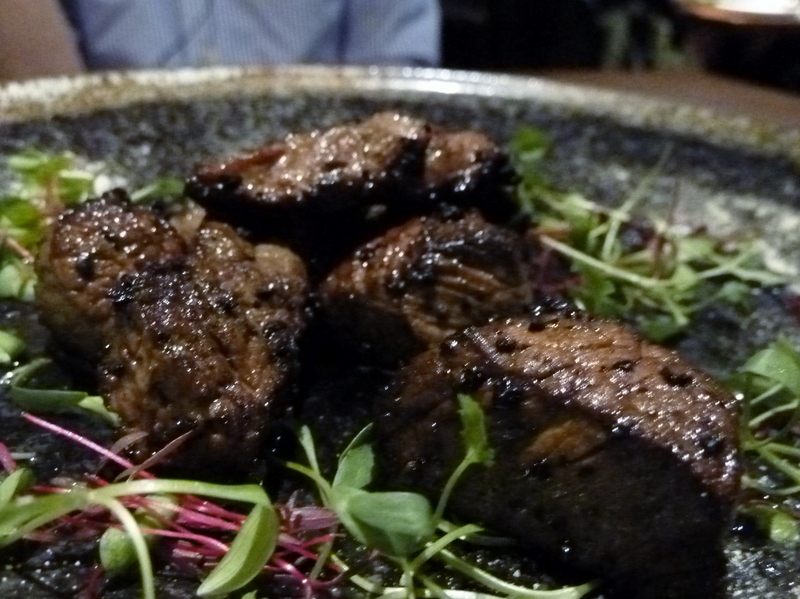 House of Ho 2/5 – Underwhelming, bland and overpriced. So very disappointing. 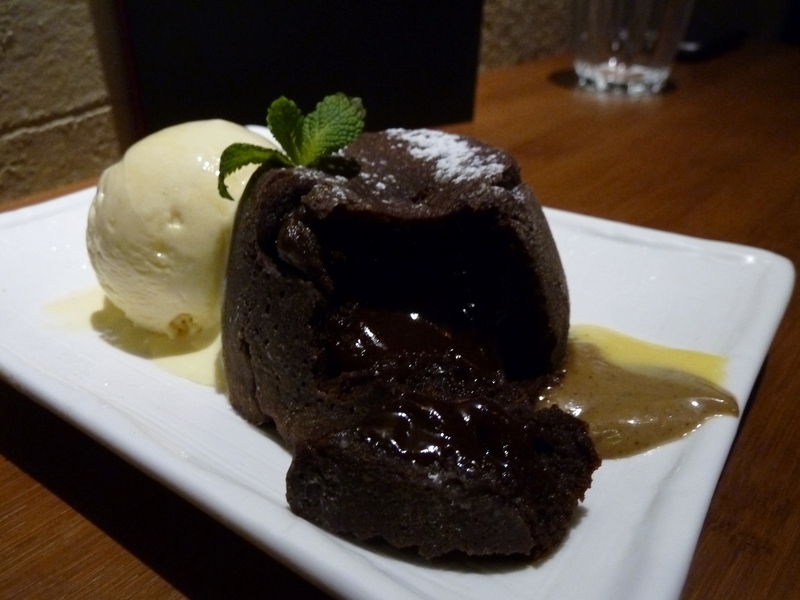 Food 2.5/5 – Hit-and-miss flavour-wise. 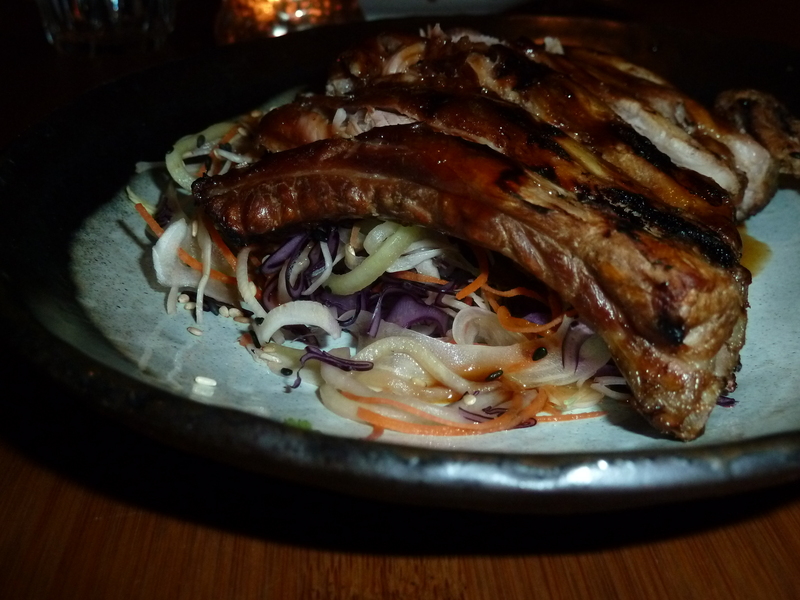 Value 2/5 – It may be Soho but I am perplexed as to why House of Ho is being marketed as affordable dining. Maybe the average customer has a very small appetite? Atmosphere 2.5/5 – Loved the décor but the music was intrusive and completely incongruous. Service 3/5 – Friendly, but a little slow (potentially soft opening issues).